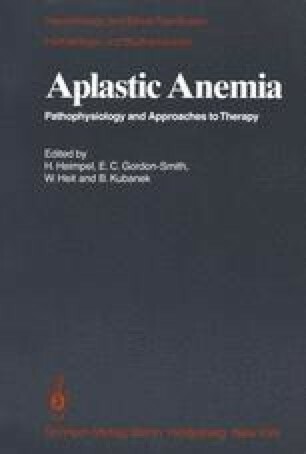 Aplastic anemia is a hematologic disorder characterized by decreased or absent bone marrow function. While toxic agents, drugs, radiation, and viruses have been implicated in a small proportion of cases, the etiology is in most instances unknown. Potential mechanisms of abnormal marrow function include defective or absent hematopoietic stem cells, microenvironmental abnormalities, and immunologic factors.